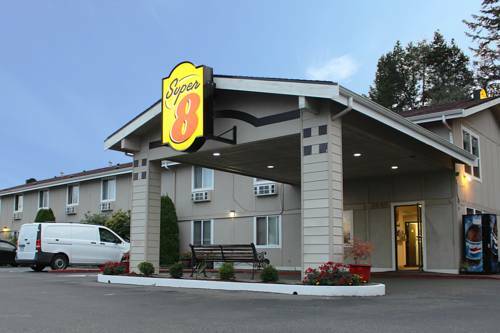 The Super 8 of Shelton is conveniently located just off Hwy. 101 and Wallace Kneeland Blvd. Property features 39 rooms, Super Start Breakfast, Free Wireless Hi Speed Internet, Interior Corridors, Refrigerators, Hair Dryers and is AAA rated. Numerous fast food, full service restaurants and 24 Hr. Super Walmart are with in short walking distance from property. Pets allowed for a fee of 15.00 USD per pet per night. Novelty item catalog store is also a museum of the weird.